A longtime reader recently asked: “How do online fraudsters get the 3-digit card verification value (CVV or CVV2) code printed on the back of customer cards if merchants are forbidden from storing this information? The answer: If not via phishing, probably by installing a Web-based keylogger at an online merchant so that all data that customers submit to the site is copied and sent to the attacker’s server. First off, “dumps” — or credit and debit card accounts that are stolen from hacked point of sale systems via skimmers or malware on cash register systems — retail for about $20 apiece on average in the cybercrime underground. 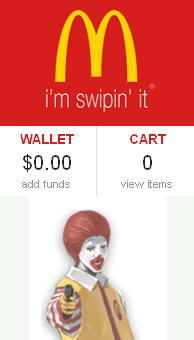 Each dump can be used to fabricate a new physical clone of the original card, and thieves typically use these counterfeits to buy goods from big box retailers that they can easily resell, or to extract cash at ATMs. However, when cyber crooks wish to defraud online stores, they don’t use dumps. 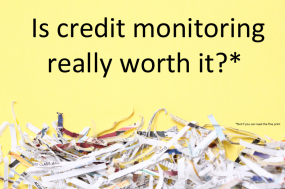 That’s mainly because online merchants typically require the CVV, criminal dumps sellers don’t bundle CVVs with their dumps. Instead, online fraudsters turn to “CVV shops,” shadowy cybercrime stores that sell packages of cardholder data, including customer name, full card number, expiration, CVV2 and ZIP code. These CVV bundles are far cheaper than dumps — typically between $2-$5 apiece — in part because the are useful mainly just for online transactions, but probably also because overall they more complicated to “cash out” or make money from them. In an alert posted to its site, the FBI said that since January 2015, the agency has seen a 270 percent increase in identified victims and exposed losses from CEO scams. The alert noted that law enforcement globally has received complaints from victims in every U.S. state, and in at least 79 countries. 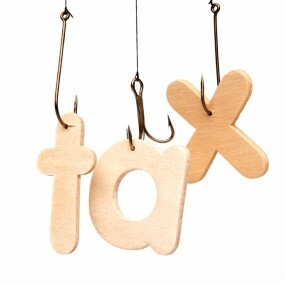 CEO fraud usually begins with the thieves either phishing an executive and gaining access to that individual’s inbox, or emailing employees from a look-alike domain name that is one or two letters off from the target company’s true domain name. For example, if the target company’s domain was “example.com” the thieves might register “examp1e.com” (substituting the letter “L” for the numeral 1) or “example.co,” and send messages from that domain. 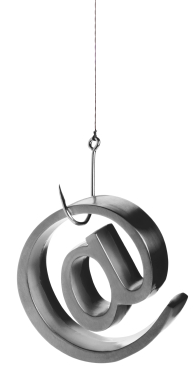 Unlike traditional phishing scams, spoofed emails used in CEO fraud schemes rarely set off spam traps because these are targeted phishing scams that are not mass e-mailed. Also, the crooks behind them take the time to understand the target organization’s relationships, activities, interests and travel and/or purchasing plans. On the surface, business email compromise scams may seem unsophisticated relative to moneymaking schemes that involve complex malicious software, such as Dyre and ZeuS. But in many ways, CEO fraud is more versatile and adept at sidestepping basic security strategies used by banks and their customers to minimize risks associated with account takeovers. In traditional phishing scams, the attackers interact with the victim’s bank directly, but in the CEO scam the crooks trick the victim into doing that for them. Authorities in Europe have arrested alleged key players behind the development and deployment of sophisticated banking malware, including Citadel and Dridex. 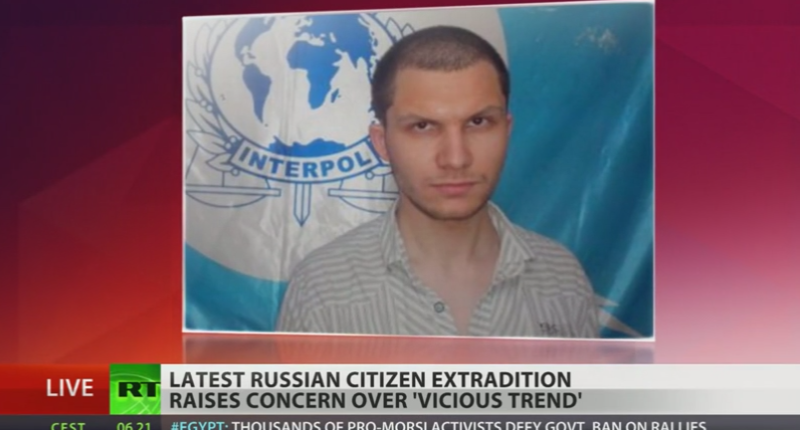 The arrests involved a Russian national and a Moldovan man, both of whom were traveling or residing outside of their native countries and are now facing extradition to the United States. Last week, a 30-year-old from Moldova who was wanted by U.S. authorities was arrested in Paphos — a coastal vacation spot in Cyprus where the accused was reportedly staying with his wife. A story in the Cyprus Mail has few other details about the arrest, other than to say authorities believe the man was responsible for more than $3.5 million in bank fraud using a PC. Sources close to the investigation say the man is a key figure in an organized crime gang responsible for developing and using a powerful banking Trojan known as “Dridex” (a.k.a. Cridex, Bugat). The Dridex gang is thought to have spun off from the “Business Club,” an Eastern European organized cybercrime gang accused of stealing more than $100 million from banks and businesses worldwide. In June 2014, the U.S. Justice Department joined multiple international law enforcement agencies and security firms in taking down the Business Club’s key asset: The Gameover ZeuS botnet, an ultra-sophisticated, global crime machine that infected upwards of a half-million PCs and was used in countless cyberheists. 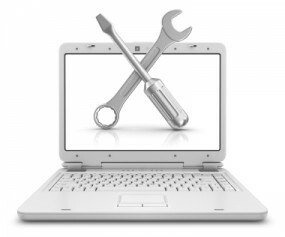 Dridex would first emerge in July 2014, a month after the Gameover Zeus botnet was dismantled. 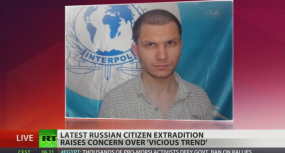 Separately, the press in Norway writes about a 27-year-old Russian man identified only as “Mark” who was reportedly arrested in the Norwegian town of Fredrikstad at the request of the FBI. The story notes that American authorities believe Mark is the software developer behind Citadel, a malware-as-a-service product that played a key role in countless cyberheists against American and European small businesses. 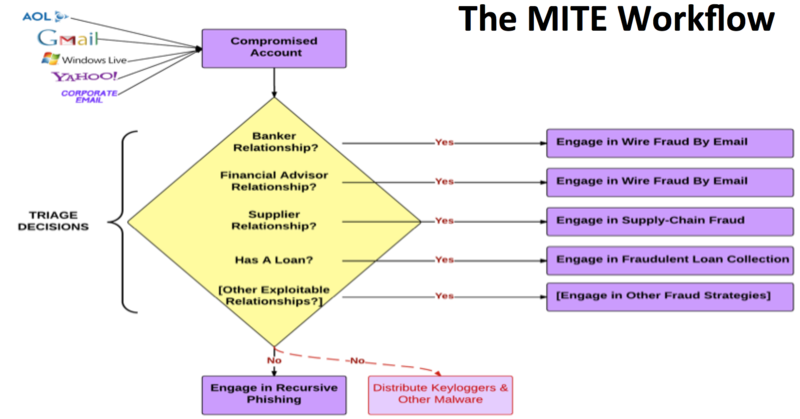 For example, Citadel was thought to have been the very same malware used to steal usernames and passwords from a Pennsylvania heating and air conditioning vendor; those same stolen credentials were reportedly leveraged in the breach that resulted in the theft of nearly 40 million credit cards from Target Corp. in November and December of 2013. The Norwegian newspaper VG writes that Mark has been held under house arrest for the past 11 months, while the FBI tries to work out his extradition to the United States. His detention is being fought by Russia, which is naturally opposed to the treatment he may receive in the United States and says the evidence against Mark is scant. According to VG, the U.S. Justice Department believes Mark is none other than “Aquabox,” the nickname chosen by the proprietor of the Citadel malware, which was created based off of the source code for the ZeuS Trojan malware. Citadel was sold and marketed as a service that let buyers and users interact with the developer and one another, to solicit feedback on how to fix bugs in the malware program, and to request new features in the malware going forward. Ubiquiti, a San Jose based maker of networking technology for service providers and enterprises, disclosed the attack in a quarterly financial report filed this week with the U.S. Securities and Exchange Commission (SEC). The company said it discovered the fraud on June 5, 2015, and that the incident involved employee impersonation and fraudulent requests from an outside entity targeting the company’s finance department. Known variously as “CEO fraud,” and the “business email compromise,” the swindle that hit Ubiquiti is a sophisticated and increasingly common one targeting businesses working with foreign suppliers and/or businesses that regularly perform wire transfer payments. 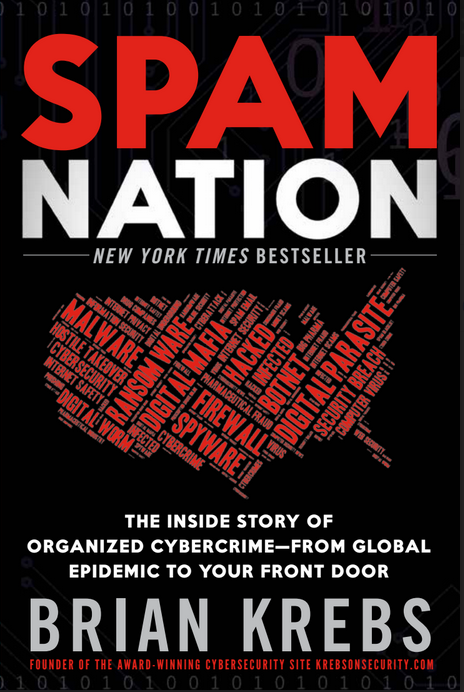 In January 2015, the FBI warned that cyber thieves stole nearly $215 million from businesses in the previous 14 months through such scams, which start when crooks spoof or hijack the email accounts of business executives or employees. In February, con artists made off with $17.2 million from one of Omaha, Nebraska’s oldest companies — The Scoular Co., an employee-owned commodities trader. According to Omaha.com, an executive with the 800-employee company wired the money in installments last summer to a bank in China after receiving emails ordering him to do so. In March 2015, I posted the story Spoofing the Boss Turns Thieves a Tidy Profit, which recounted the nightmarish experience of an Ohio manufacturing firm that came within a whisker of losing $315,000 after an employee received an email she thought was from her boss asking her to wire the money to China to pay for some raw materials. Ubiquiti didn’t disclose precisely how it was scammed, but CEO fraud usually begins with the thieves either phishing an executive and gaining access to that individual’s inbox, or emailing employees from a look-alike domain name that is one or two letters off from the target company’s true domain name. For example, if the target company’s domain was “example.com” the thieves might register “examp1e.com” (substituting the letter “L” for the numeral 1) or “example.co,” and send messages from that domain. 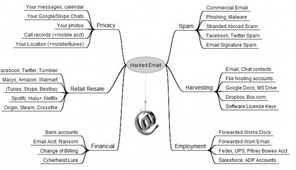 In these cases, the fraudsters will forge the sender’s email address displayed to the recipient, so that the email appears to be coming from example.com. In all cases, however, the “reply-to” address is the spoofed domain (e.g. examp1e.com), ensuring that any replies are sent to the fraudster. 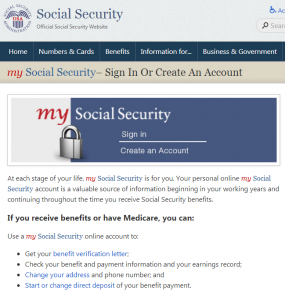 In the case of the above-mentioned Ohio manufacturing firm that nearly lost $315,000, that company determined that the fraudsters had just hours before the attack registered the phony domain and associated email account with Vistaprint, which offers a free one-month trial for companies looking to quickly set up a Web site. Ubiquiti said in addition to the $8.1 million it already recovered, some $6.8 million of the amounts transferred are currently subject to legal injunction and reasonably expected to be recovered. It added that an internal investigation completed last month uncovered no evidence that its systems were penetrated or that any corporate information, including our financial and account information, was accessed. Likewise, the investigation reported no evidence of employee criminal involvement in the fraud. The FBI’s advisory on these scams urges businesses to adopt two-step or two-factor authentication for email, where available, and/or to establish other communication channels — such as telephone calls — to verify significant transactions. 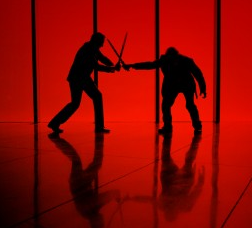 Businesses are also advised to exercise restraint when publishing information about employee activities on their Web sites or through social media, as attackers perpetrating these schemes often will try to discover information about when executives at the targeted organization will be traveling or otherwise out of the office. Ubiquiti noted that as a result of its investigation, the company and its audit committee and advisors concluded that its internal control over financial reporting were ineffective due to one or more material weaknesses, though it didn’t disclose what measures it took to close those security gaps. “The Company has implemented enhanced internal controls over financial reporting since June 5, 2015 and is in the process of implementing additional procedures and controls pursuant to recommendations from the investigation,” it said. There are probably some scenarios in which legitimate emails between two parties carry different display and “reply-to” addresses. But if the message also involves a “reply-to” domain that has virtually no reputation (it was registered within hours or days of the message being sent), the chances that the email is fraudulent go up dramatically. Business Email Compromise (BEC) or man-in-the-email (MITE) scams are adaptive and surprisingly complex. We often hear about the impact of cybercrime, but too seldom do we read about the successes that law enforcement officials have in apprehending those responsible and bringing them to justice. Last week was an especially busy time for cybercrime justice, with authorities across the globe bringing arrests, prosecutions and some cases stiff sentences in connection with a broad range of cyber crimes, including ATM and bank account cashouts, malware distribution and “swatting” attacks. 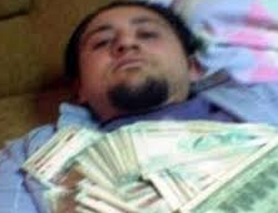 Ercan Findikoglu, posing with piles of cash. Prosecutors in New York had a big week. 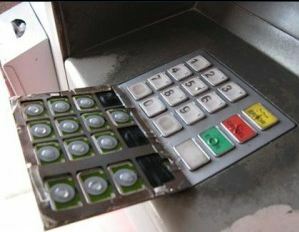 Appearing in the U.S. court system for the first time last week was Ercan “Segate” Findikoglu, a 33-year-old Turkish man who investigators say was the mastermind behind a series of Oceans 11-type ATM heists between 2011 and 2013 that netted thieves more than $55 million. According to prosecutors, Findikoglu organized the so-called “ATM cashouts” by hacking into networks of several credit and debit card payment processors. 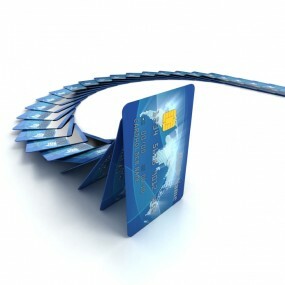 With each processor, the intruders were able to simultaneously lift the daily withdrawal limits on numerous prepaid accounts and dramatically increase the account balances on those cards to allow ATM withdrawals far in excess of the legitimate card balances. The cards were then cloned and sent to dozens of co-conspirators around the globe, who used the cards at ATMs to withdraw millions in cash in the span of just a few hours. 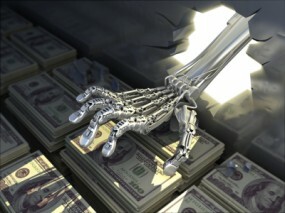 Investigators say these attacks are known in the cybercrime underground as “unlimited operations” because the manipulation of withdrawal limits lets the crooks steal literally unlimited amounts of cash until the operation is shut down. Two of the attacks attributed to Findikoglu and his alleged associates were first reported on this blog, including a February 2011 attack against Fidelity National Information Services (FIS), and a $5 million heist in late 2012 involving a card network in India. The most brazen and lucrative heist, a nearly $40 million cashout against the Bank of Muscat in Oman, was covered in a May 2013 New York Times piece, which concludes with a vignette about the violent murder of alleged accomplice in the scheme. Also in New York, a Manhattan federal judge sentenced the co-creator of the “Blackshades” Trojan to nearly five years in prison after pleading guilty to helping hundreds of people use and spread the malware. Twenty-five year old Swedish national Alexander Yucel was ordered to forfeit $200,000 and relinquish all of the computer equipment he used in commission of his crimes. 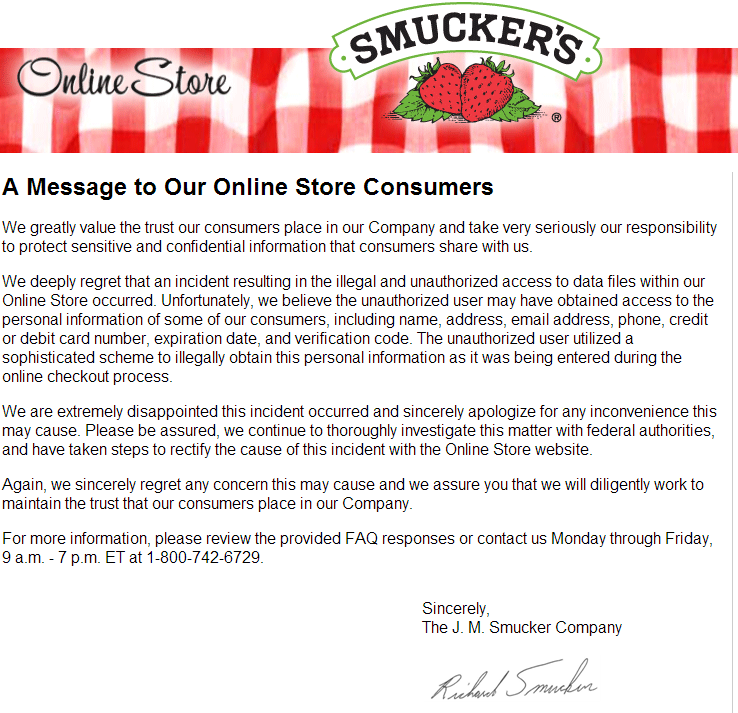 Jam and jelly maker Smucker’s last week shuttered its online store, notifying visitors that the site was being retooled because of a security breach that jeopardized customers’ credit card data. Closer examination of the attack suggests that the company was but one of several dozen firms — including at least one credit card processor — hacked last year by the same criminal gang that infiltrated some of the world’s biggest data brokers. As Smucker’s referenced in its FAQ about the breach, the malware that hit this company’s site behaves much like a banking Trojan does on PCs, except it’s designed to steal data from Web server applications. 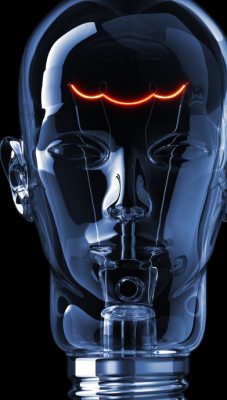 PC Trojans like ZeuS, for example, siphon information using two major techniques: snarfing passwords stored in the browser, and conducting “form grabbing” — capturing any data entered into a form field in the browser before it can be encrypted in the Web session and sent to whatever site the victim is visiting. 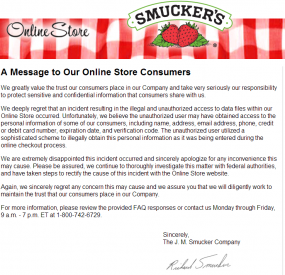 The malware that tore into the Smucker’s site behaved similarly, ripping out form data submitted by visitors — including names, addresses, phone numbers, credit card numbers and card verification code — as customers were submitting the data during the online checkout process. What’s interesting about this attack is that it drives home one important point about malware’s role in subverting secure connections: Whether resident on a Web server or on an end-user computer, if either endpoint is compromised, it’s ‘game over’ for the security of that Web session. With Zeus, it’s all about surveillance on the client side pre-encryption, whereas what the bad guys are doing with these Web site attacks involves sucking down customer data post- or pre-encryption (depending on whether the data was incoming or outgoing). 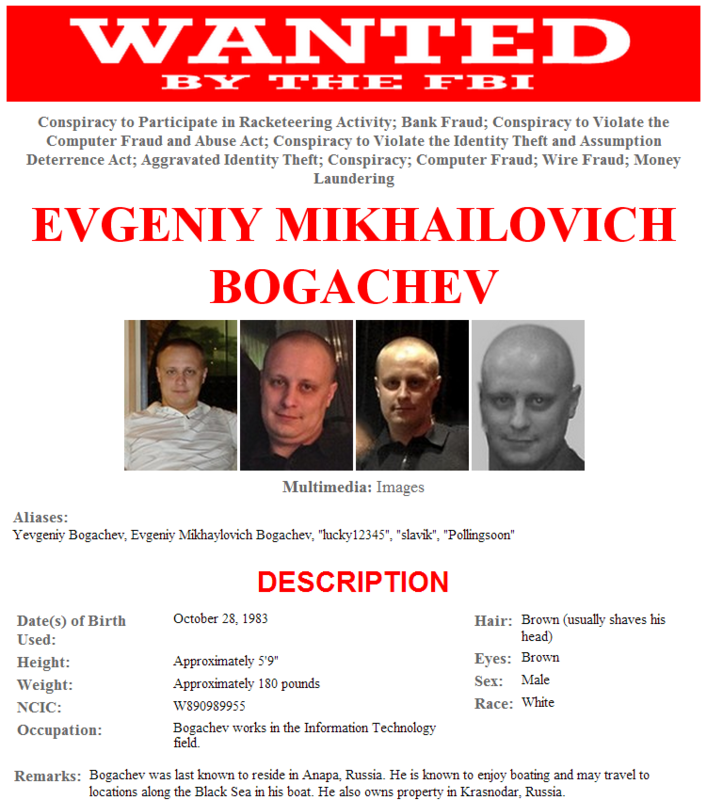 Federal authorities in Atlanta today are expected to announce the arrest and charging of a 24-year-old Russian man who allegedly created and maintained the SpyEye Trojan, a sophisticated botnet creation kit that has been implicated in a number of costly online banking thefts against businesses and consumers. 24-year-old Aleksander Panin is thought to be responsible for SpyEye. Image courtesy: RT. According to sources, the U.S. Justice Department is charging Aleksander Panin of Tver, Russia with being part of a gang that robbed banks via the Internet. He was reportedly arrested in the Dominican Republic in June 2013. Update, 4:34 p.m. ET: Panin just pleaded to conspiracy to commit wire and bank fraud for his role as the primary developer and distributor of SpyEye, according to a press release from U.S. Attorney Sally Quillian Yates. The government alleges that Panin sold SpyEye to at least 150 “clients,” one of whom is reported to have made more than $3.2 million in a six month period using the virus. The Justice Department further states that the investigation also has led to the arrests by international authorities of four of Panin’s SpyEye clients and associates in the United Kingdom and Bulgaria. It’s not clear why Panin was in the Dominican Republic, which has strong relations with the United States. According to Wikipedia, the Dominican Republic has worked closely with U.S. law enforcement officials on issues such as the extradition of fugitives. According to Russian news station RT, Panin was high on Interpol’s “red list,” wanted for embezzlement through Internet banking scams totaling USD $5 million. 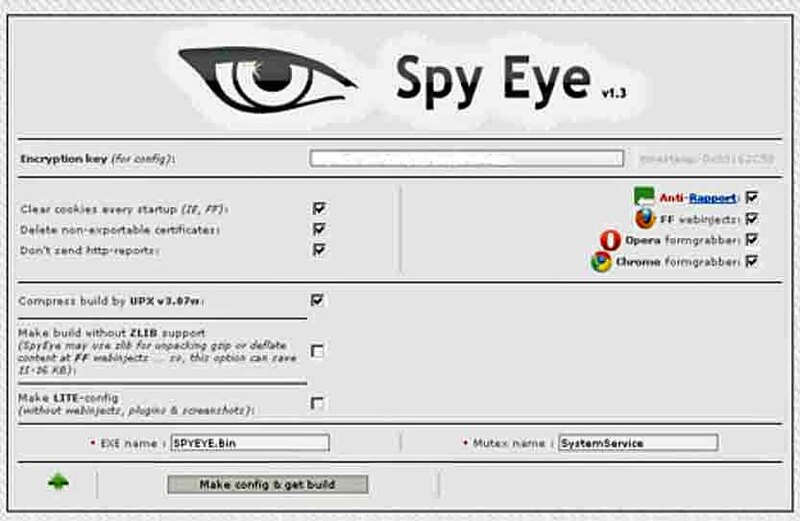 A SpyEye version from 2011. The arrest caps a dramatic rise and fall of a crimeware package that evolved as a major headache for security professionals, and for Microsoft in particular. 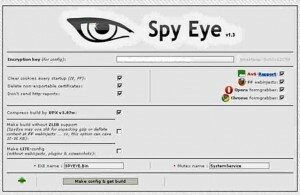 In March 2012, Microsoft executed a carefully-planned takedown of dozens of botnets powered by SpyEye and ZeuS — a competing botnet creation kit that was later briefly subsumed by SpyEye. Styx Pack victims, by browser and OS version. Aptly named after the river in Greek mythology that separates mere mortals from the underworld, the Styx exploit pack is a high-end software package that is made for the underground but marketed and serviced at the public styx-crypt[dot]com. The purveyors of this malware-as-a-service also have made a 24 hour virtual help desk available to paying customers. Styx customers might expect such niceties for the $3,000 price tag that accompanies this kit. 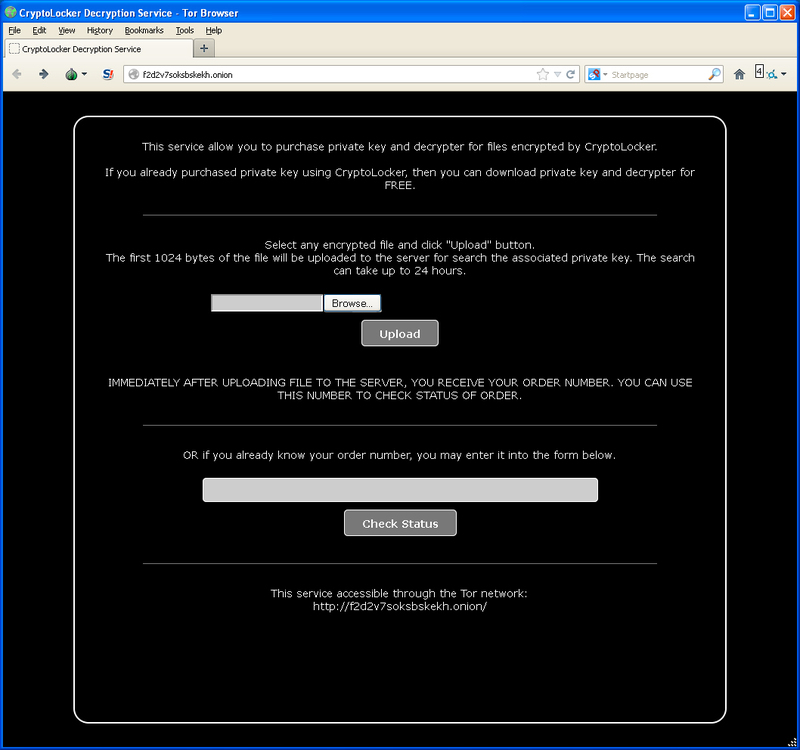 A source with access to one Styx kit exploit panel that was apparently licensed by a team of bad guys shared a glimpse into their operations and the workings of this relatively slick crimeware offering. The Styx panel I examined is set up for use by a dozen separate user accounts, each of which appears to be leveraging the pack to load malware components that target different moneymaking schemes. 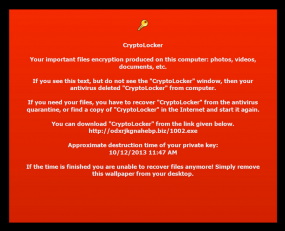 The account named “admin,” for example, is spreading an executable file that tries to install the Reveton ransomware. Other user accounts appear to be targeting victims in specific countries. For example, the user accounts “IT” and “IT2” are pushing variants of the ZeuS banking trojan, and according to this Styx panel’s statistics page, Italy was by far the largest source of traffic to the malicious domains used by these two accounts. Additional apparently country-focused accounts included “NL,” AUSS,” and “Adultamer” (“amer” is a derisive Russian slur used to describe Americans). ZeuS Trojan variants targeted at Italian victims were detected by fewer than 5 out 17 antivirus tools. An exploit kit — also called an “exploit pack” (Styx is marketed as “Styx Pack”) is a software toolkit that gets injected into hacked or malicious sites, allowing the attacker to foist a kitchen sink full of browser exploits on visitors. Those visiting such sites with outdated browser plugins may have malware silently installed. Unlike other kits, Styx doesn’t give a detailed breakdown of the exploits used in the panel. Rather, the panel I looked at referred to its bundled exploits by simple two-digit numbers. This particular Styx installation used just four browser exploits, all but one of which targets recent vulnerabilities in Java. 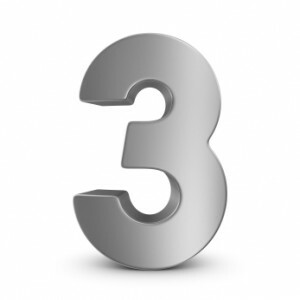 The kit referred to each exploit merely by the numbers 11, 12, 13 and 32. According to the considerable legwork done by Kafeine, a security blogger who digs deeply into exploit kit activity, Styx Kit exploit #11 is likely to be CVE-2013-1493, a critical flaw in a Java browser plugin that Java maker Oracle fixed with an emergency patch in March 2013. Exploit 12 is almost certainly CVE-2013-2423, another critical Java bug that Oracle patched in April 2013. In an instant message chat, Kafeine says exploit #13 is probably CVE-2013-0422, a critical Java vulnerability that was patched in January 2013. The final exploit used by the kit I examined, number 32, maps to CVE-2011-3402, the same Microsoft Windows font flaw exploited by the Duqu Trojan. 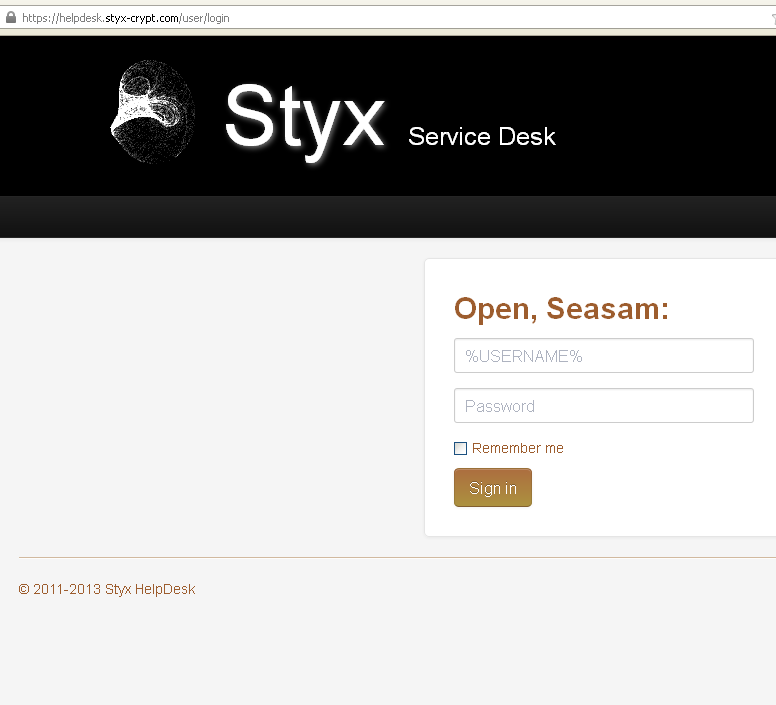 The Styx stats page reports that the hacked and malicious sites used by this kit have been able to infect roughly one out of every 10 users who visited the sites. This particular Styx installation was set up on June 24, 2013, and since that time it has infected approximately 13,300 Windows PCs — all via just those four vulnerabilities (but mostly the Java bugs).